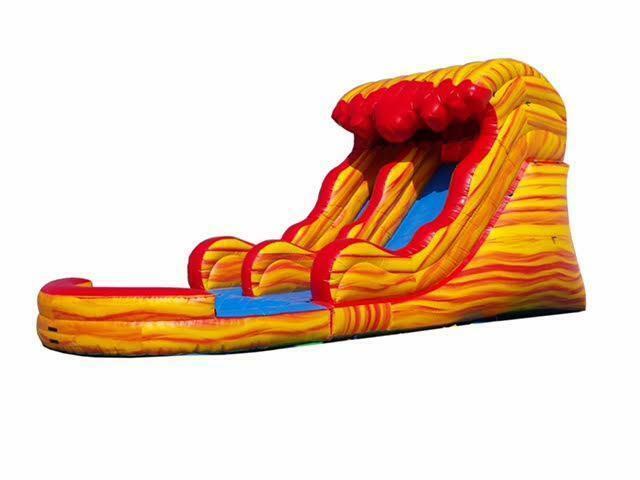 Our newest additon to our inflatable waterslides; Volcano!! Decked out with yellow, red, and orange you will be climbing to the top of the fire only to slide nearly 18 feet with a BUMP to land in a nice relaxing pool of water (aka ice!) Perfect for those HOT summer days!